A major grant will help Eagala grow its programs. 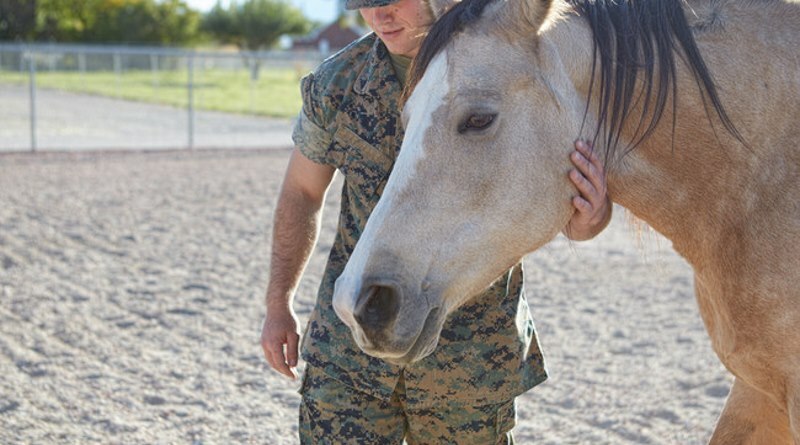 The Equine Assisted Growth and Learning Association (Eagala) is one of two national organizations in the US, along with additional regional partners, to share $US1 million in funding from the 2018-19 Veterans Administration Adaptive Sports Grant for equine-assisted psychotherapy services. This is the first year the ASG has earmarked funds specifically for equine-assisted psychotherapy – where horses are involved in focused, professional interventions to address trauma and other mental health needs, including substance abuse, depression and improving family relationships. Eagala will receive more than $US225,000 to fund services provided by certified professionals who have received the Eagala Military Services program designation, created as a way of setting and maintaining the standard of clinical training and cultural competence required to effectively work with military populations in a mental health setting. There are currently 25 programs in the US that have the Eagala military designation, and chief executive Lynn Thomas expects that number to grow quickly. She said the grant would enable Eagala to grow its programs which benefit veterans. Halina Kowalski, who led the grant effort in her newly appointed role as Eagala’s military services director, will oversee its management and coordinate collective outcome-based projects in collaboration with Eagala military services programs. This grant represents a shift for the organization from providing training, education and certification to generating funding that supports Eagala’s large global membership and facilitates outcomes. Eagala is an international nonprofit organisation set up in 1999. Today, it has over 640 regional programs and more than 2500 certified members in more than 40 countries. The organization is for professionals who incorporating horses to address mental health and personal development needs. • Veterans looking to receive services under this grant or who want to find out about participating in Eagala military designated programs can contact Kowalski directly at military@eagala.org. ← World Equestrian Games: Is this the end of the line?